I'm flying to India on 28th and will be back to SG during middle of Dec. So see you guys next year till I settled down with this new journey of my life and so with my work...till then you all takecare, have fun and enjoy the festive season. 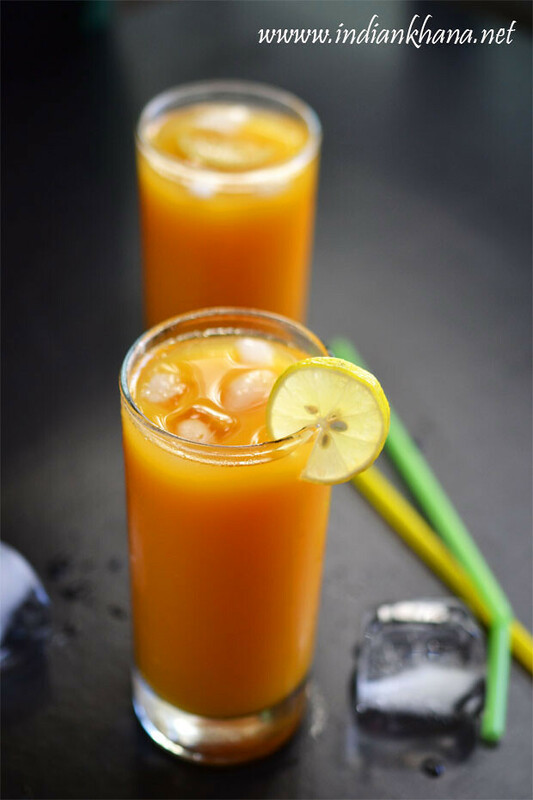 I'm so happy hosting this event, first thing is we all share so much enthu, joy, fun and the best thing is we come to know of some great recipes, and some new recipes. 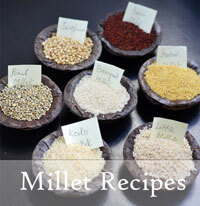 Look through the roundup for some very new and wonderful recipes. Do check roundup part I and part II. 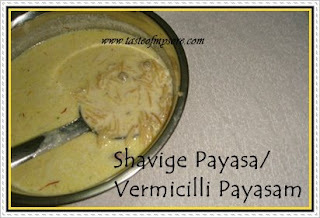 Do you like Khoya or Paal Khova? Yes? 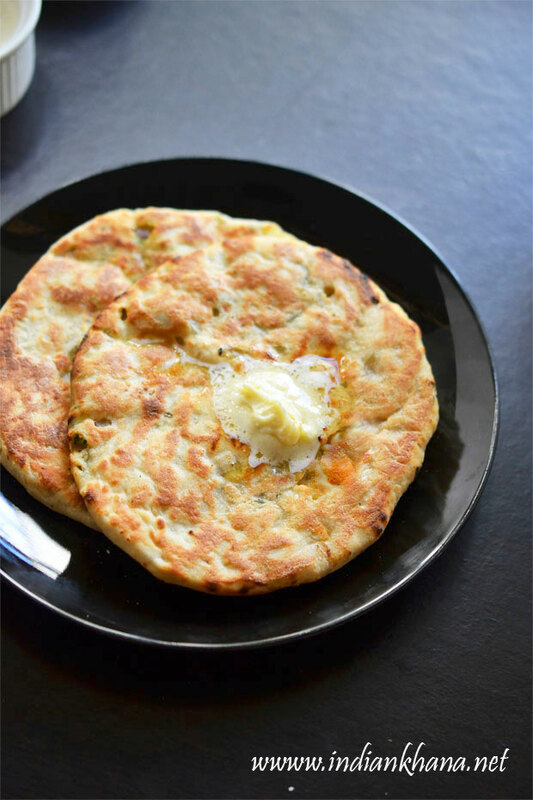 Well then you will certainly will like this Khoya recipe Priya has made this recipe with Ricotta Cheese...yes you are red it write..with Ricotta Cheese. Check her space to find out the tasty, quick recipe. 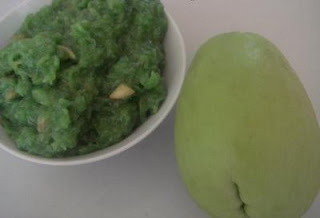 I'm sure you all know carrot/bread/lauki and what n all halwa...but ever heard about chow chow halwa..no? 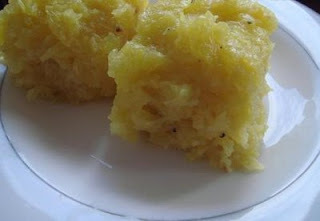 Then check Priya space for easy recipe of Chow Chow halwa. 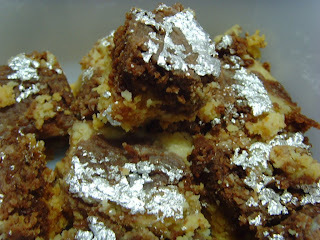 Here is simple and easy 7 cups cake, ohh you didn't get what's that then check Vidhya recipe for details. 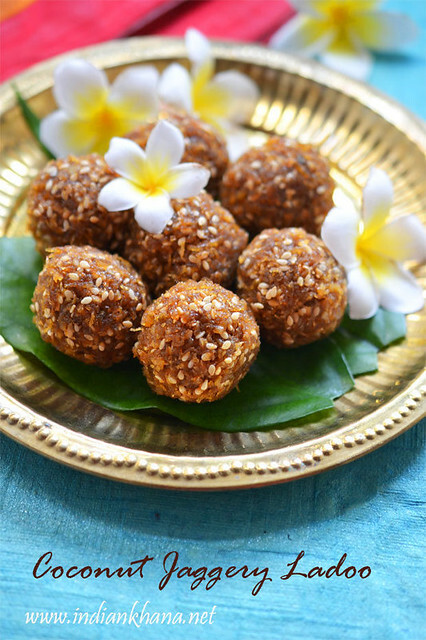 Here comes traditional Tokkudu Laddu or Bandar laddu from Rekha for the original and authentic Rokkudu Laddu recipe check her space. No event or celebration will be completed without Semiya/Seviya/Shavige and we have received the same yummy Shavige from Lakshmi too. Do you know what's ABC Halwa? Okie let me enlight you all with this one...it's Apple, Banana and Carrot Halwa sent over by Sireesha for the event....if you want to do some serious drooling then only check her post...I'm sure every one of you will get tempted so much to try the halwa rite away. 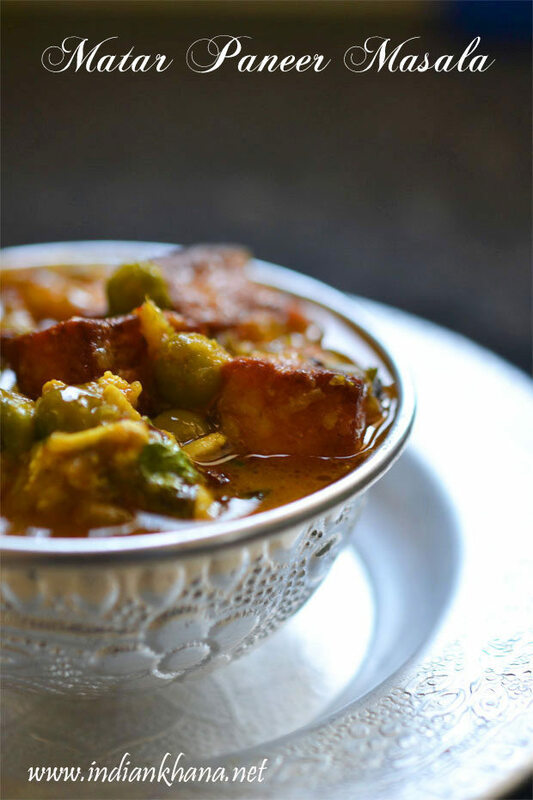 I'm sure this must a new dish for few of us...Almond Puri with Fat-free milk halwa Anudivya has sent over this simple but delicious dish ...look at the pic to drool over and check the recipe at her space. 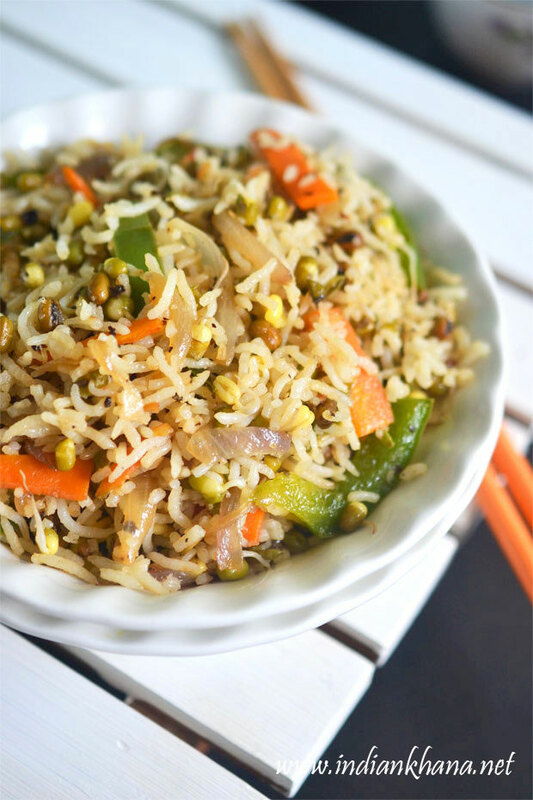 Every heard about Sweet Garelu? No?? They are sweet vadas...ya it's sweet vada...ususal vada soak in sugar syrup....this is a new dish for me and I think for few of you too, lets Thanks Rekha for the unique dish. 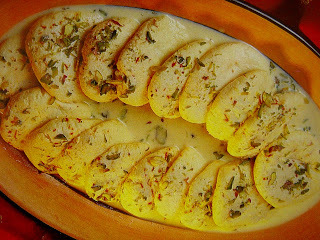 I have never seen a Diwali in Chennai without the famous, a must Mysurpa. Every marriage, function, festival highlight has to be Mysurpa and Prema has just send us the very old Mysurpa, her mysurpak came out so well that they melts in mouth..Slurp! Isn't that mouth watering? 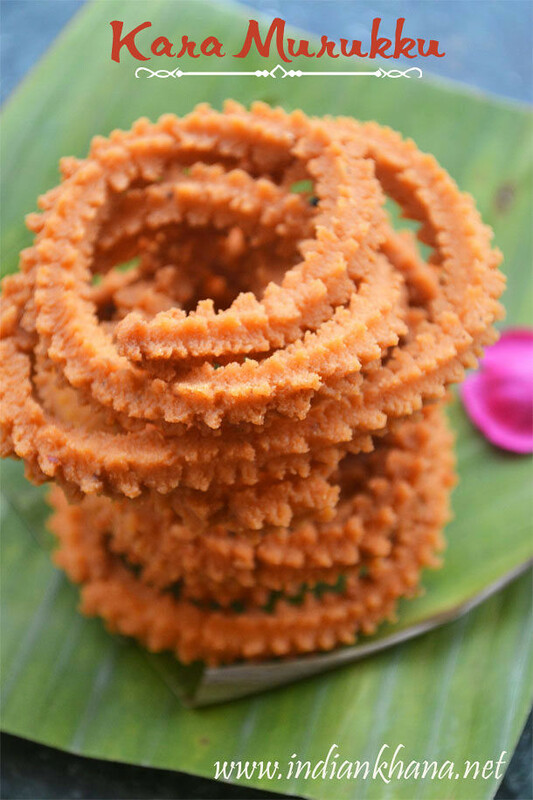 This is one sweet which I just love, we never make this at our place but use to get plenty from all our neighbours and it's the divine Athirasam making way for our event via Divya's kitchen. Her athirasam looks so gud I feel like grabing and eating...man I really missing athirasam now ! Next up is Maida Biscuit from Srivalli. It's easy to make biscuit which Srivalli says will be hit with kids. 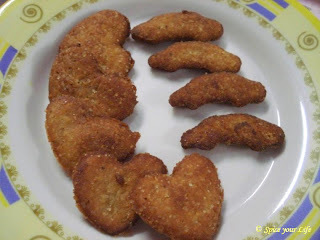 Check her space for the recipe and for her childhood memories. 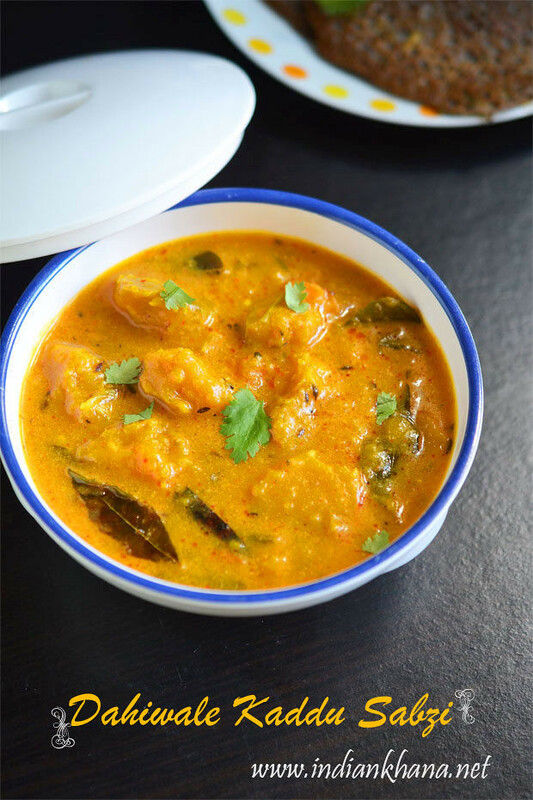 Here is another new recipe to the event, I'm sure it must be new for few of you guys also ..Paradi Payasa and this comes from our new found blogger in SG Sushma to know more about this check her blog. She has given nice step by step instructions for all of us. We all know about Coconut Burfi isn't it....how about coconut burfi with tapioca? 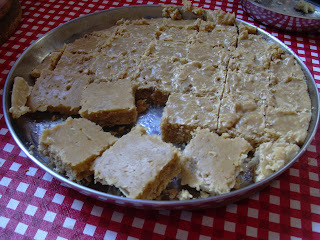 Seems interesting rite....check Priya's recipe for this new and yummy looking burfi details. 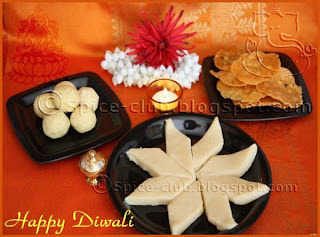 If you need break from these wonderful sweets then check Purva's blog for some wonderful information on Diwali ..but diwali without sweet not possible correct...so munch some Gujjias/Ghughra along the way too...with the detail recipe. 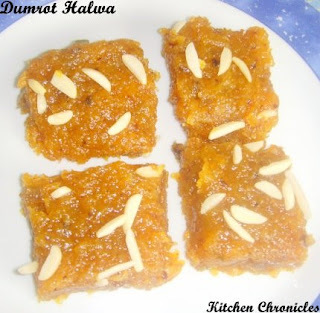 Here is Halwa of one kind Dumrot Halwa, Lakshmi has tasted them in one of marriages and got hooked to it..check her blog for the wonderful recipe. 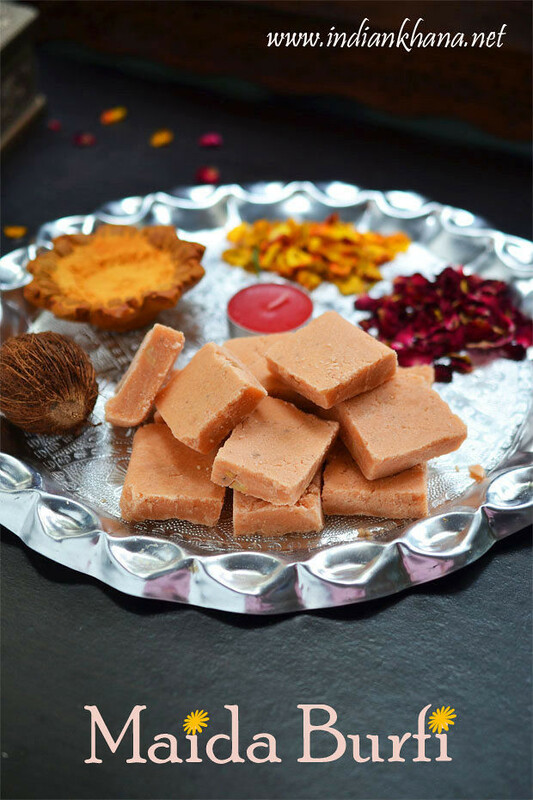 Uma has made Coconut Burfi for diwali which looks delicious, along with that check her blog to checkout the cute pic of her son. 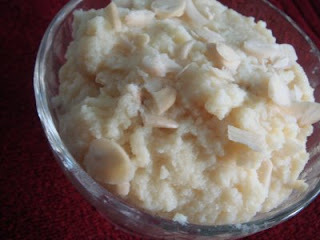 Here is another easy and tasty entry from Uma and that is White Pumpkin Halwa, check her site for details. Mysore Pak making it's way one more time in our event but with the surprise and it's Coconut Mysore Pak sent us over by Jaishree, she says it's one of the easiest sweet to make. Check her recipe for the step by step details. 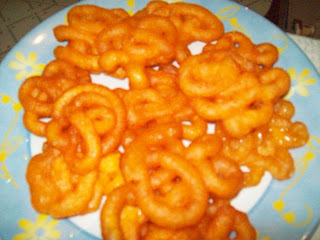 Okie people now drool over these lovely Jangri sent by Jaishree again, I'm sure all of us can't stop drooling over these sweet little jangri (off the record jangri is something very similar to Jalebi) more details on jangri and how to make them check Jaishree recipe with some handy tips. 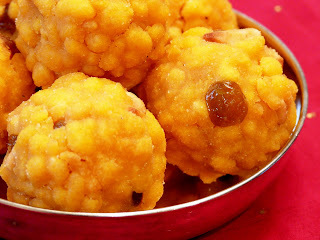 Sarada has sent us Boondi Laddu which she says she is making for all the Diwali after marriage and it's the authentic recipe from her Athai, if you want to make Boondi Laddu for any occasion then check her recipe for the detail procedure and tips. 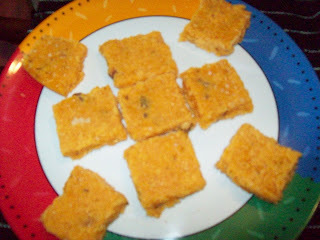 So after boondi Laddu, we can feast on some perfect Badam Burfi and Moongdhal Ladoo sent us over by dear Cham. 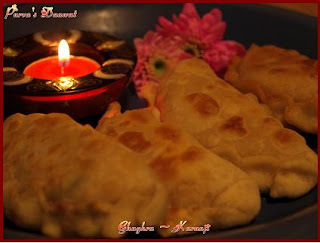 Check her recipe for the wonderful recipes and also the memories she has written about her way of Diwali :-). 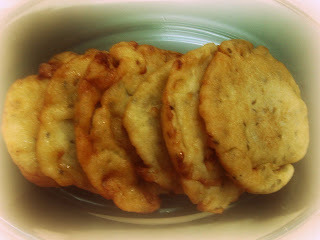 It was so sweet of dear Shreya to sent us all some yummy looking Appam for the event though she on vacation now. She says this year has been special Diwali for her cause she has celebrated it with her family, check her space for the yummy appam recipe. 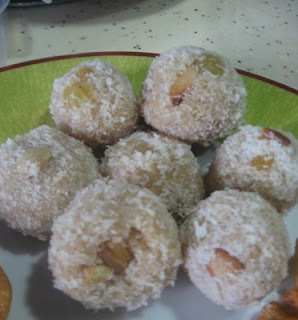 Next up is Besan Laddu from Siressha place, she says these laddu are very easy to make and thus remainding me that it has been very long since I had them. 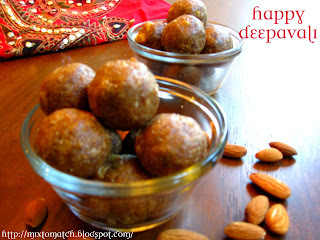 Let us all feast virtually on these laddu, check her blog for simple and easy recipe. 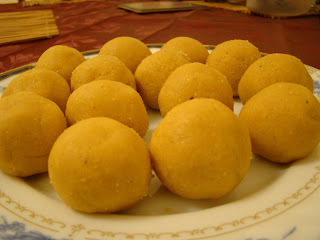 And Suji Laddoo which was prepared by me ususally every year on Diwali. Hope all of you enjoyed the roundups as much I did hosting this wonderful event. Thanks you all for all the support, do keep checking our festive food event. See you guys next year till then be happy and enjoy. Nice to hear such a good news from u. Sure you will have a wonderful and lovely time in this break. Congrats to u. Convey our wishes to him too. Happy married life. :). Seeing those sweets i want to make again some more :) Great work and thank you for the lovely round-up! another delicious roundup Priti! Well done! Thanks for hosting such a wonderful event. Aweomse bunch of sweets..lovely collection for our sweet tooth.. Wish you a very happy married life and enjoii your time. Happy to see soo many sweets together. congratulations priti. happy married life and waiting for ur wedding photos. lovely round up..enjoy your break:))Best wishes..
Congratulations on the big day....and good luck. Awesome round up Priti , and WISH U A VERY HAPPY MARRIED LIFE !! Wow My very best wishes for you for a new begining of life. Congratulations too. See u soon with yummies from new rocking kitchen. All the best. Awesome roundup. Congratulations Priti! Wishing you a very happy married life. congrats priti..ur gonna start a new life..and nice round up...come soon..till then will miss u badly..